Currently, more than 90% of the countries in the world mainly consume pasteurized milk in liquid milk consumption. Pasteurized milk covers 70% of global liquid milk market share, and the proportion is 95% in Europe, 90% in US and over 95% in Australia and New Zealand. 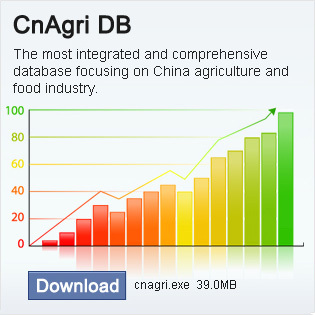 China is the third biggest dairy producer in the world; dairy consumption in China has entered a rapid growing stage. Presently, liquid milk demand in China is dramatically increasing. Before 2000, China’s pasteurized milk consumption accounted for 70-80% of liquid milk consumption. However, the restriction of raw milk quality and raw milk sources distribution, slow cold-chain logistics construction and dairy products consuming capability not matching actual demand resulted in the slowing down development of pasteurized milk market in China. With the growth of consumers’ awareness on food safety, the nutritive value of pasteurized milk will be realized by more and more people, so we can expect a huge potential for China pasteurized milk market. Imported pasteurized milk will further promote the market competition in China. This report will analyze China pasteurized milk market in terms of production, trade, cold-chain logistics and consumption, involving production models, product types, output, packaging types, sales channels, links & cost in cold-chain transportation, trade & related agreements, consumer preference, inter-regional difference and competitiveness of domestic and imported products. In addition, the analysis and evaluation of main importers and domestic producers of pasteurized milk will also be included. It bases on years of BOABC’s research and analysis and is expected to be a good reference for our clients to better understand China pasteurized milk market. 8.2 Qingdao Sanhu Food Co., Ltd.
18.3.1 Bright Dairy & Food Co., Ltd.
18.3.2 Beijing Sanyuan Foods Co., Ltd.
18.3.3 Nanjing Weigang Dairy Group Co., Ltd.
18.3.4 Chongqing Tianyou Dairy Co., Ltd.
18.3.5 China Huishan Dairy Holdings Co., Ltd.
18.3.6 Shandong Deyi Dairy Industry Co., Ltd.
18.3.7 Guangdong Yantang Dairy Products Co., Ltd.
18.3.8 New Hope Dairy Co., Ltd.
18.3.9 Guangxi Royal Dairy Co., Ltd.
18.3.10 Fujian Changfu Dairy Group Co., Ltd.
Map 6, Dairy Producing Enterprises of Shanghai Bright Dairy & Food Co., Ltd.
Map 7, Main Farms of Shanghai Bright Dairy & Food Co., Ltd.
Map 8, Dairy Producing Enterprises of Beijing Sanyuan Foods Co., Ltd.
Map 9, Main Farms of Beijing Sanyuan Foods Co., Ltd.
Map 10, Main Farms & Dairy Producing Enterprises of Nanjing Weigang Dairy Group Co., Ltd.
Map 11, Main Farms & Dairy Producing Enterprises of Chongqing Tianyou Dairy Co., Ltd.
Map 12, Main Farms & Dairy Producing Enterprises of China Huishan Dairy Holdings Co., Ltd.
Map 13, Main Farms & Dairy Producing Enterprises of New Hope Dairy Co., Ltd.
Map 14, Main Farms & Dairy Producing Enterprises of Guangxi Royal Dairy Co., Ltd.
Table 24, Pasteurized Milk Types of Shanghai Bright Dairy & Food Co., Ltd.
Table 25, Pasteurized Milk Types of Beijing Sanyuan Foods Co., Ltd.
Table 26, Pasteurized Milk Types of Nanjing Weigang Dairy Group Co., Ltd.
Table 27, Pasteurized Milk Types of Chongqing Tianyou Dairy Co., Ltd.
Table 28, Pasteurized Milk Types of China Huishan Dairy Holdings Co., Ltd.
Table 29, Pasteurized Milk Types of Shandong Deyi Dairy Industry Co., Ltd.
Table 30, Pasteurized Milk Types of Guangdong Yantang Dairy Products Co., Ltd.
Table 31, Pasteurized Milk Types of New Hope Dairy Co., Ltd.
Table 32, Pasteurized Milk Types of Guangxi Royal Dairy Co., Ltd.
Table 33, Pasteurized Milk Types of Fujian Changfu Dairy Group Co., Ltd.